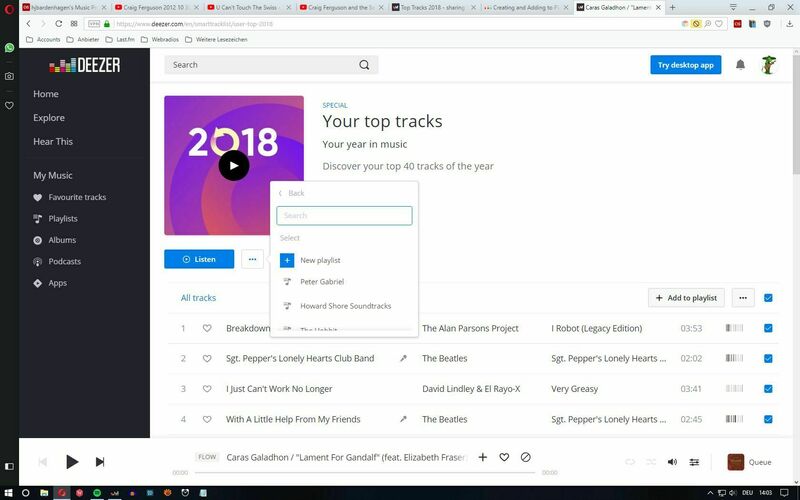 Hello Deezer, what a great idea to have "Top tracks 2018" - please pass on my thanks to the person/team whose idea it was. Just one question, I can't figure out how the"Share" in the Options menu> works? I would like to send the full 40 track playlist to somebody. Then save them to a new playlist which you can share with others. Hi @Peter Swinbank, thanks so much for your feedback, I'll make sure to pass it on to the team! At the moment we don't have the share button on this specific feature, but you can but you can easily back it up by creating or adding certain tracks to an existing playlist. That way you'll be able to share this playlist with any Deezer users .